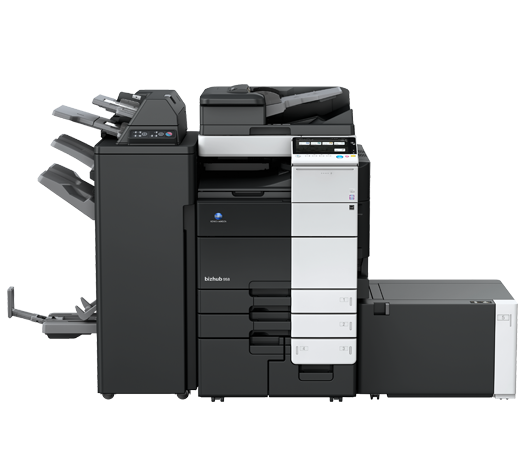 The bizhub 958 High Volume Black & White Printer/copier/scanner delivers high-speed B&W output that economically meets the needs of busy offices and many CRD environments. You’ll have spectacular speed — up to 95 ppm B&W print/copy output — with simple, office-friendly touch-and-swipe operation. It is also customizable with a wide variety of apps and industry-specific software solutions, and features up to a 6,650-sheet paper capacity for high-volume applications.